This post starts off our Customer Success Story Series. This success story highlights a ShipperHQ merchant on Bigcommerce that was able to break through the challenges they faced as they expanded to the ecommerce market in order to keep up with customer demand. Vertical farming came about as a way for farmers to avoid costs associated with growing food. Since its inception, the vertical farming space has become quite noisy. Bright Agrotech, an agriculture technology startup, came about as a way to address the increase in demand for vertical farming supplies. The startup guides modern farmers to plan, build and operate successful businesses with the goal of building a new, local food economy based on transparency and trust. Their 3 E’s approach (Equip, Educate and Empower) gives modern farmers the hardware, software, and services they need to make a positive impact on local food economies. The company expanded to the eCommerce market around 2014 and immediately knew that they would face challenges delivering their large and bulky items to their customers. Oftentimes, the company dealt with multiple packages per product, dimensions that resulted in balloon charges (or that exceeded carrier requirements), and freight shipments. Aware that their situation was unlike most eCommerce merchants, they knew they needed to conquer their unique shipping challenges in order to beat out their competition and successfully sell online. After their first few months as an online store, they migrated to BigCommerce in hopes that they would be able to find a solution that addressed these issues. Bright Agrotech started their online journey knowing what they wanted to show customers at the checkout. However, they faced challenges when it came time to relay this to their customers on their website. Initially the team used BigCommerce’s builtin shipping options to apply flat-rate shipping on their larger items. This was done to cover what they thought their average costs would be. Without a shipping calculator that was prepared to handle all of the above, we were frequently unable to charge accurate shipping rates. Nearby customers ended up largely overpaying for shipping, and we had to eat the cost on more expensive shipments. Our customers had limited shipping choices or less-than-complete information about how their shipment would arrive. Trust me – having a freight truck show up at your house when you’re expecting UPS is a jarring experience that usually results in a number of additional costs for both the customer and us. The team quickly realized they would need a more powerful shipping calculator to handle their shipping needs. Knowing custom development to be extremely costly, they began their search for an application that would fit their needs. That’s what led them to ShipperHQ. In June 2016 the Bright Agrotech team found their solution with ShipperHQ. Directly after implementation and other process improvements, they noticed an increase in their eCommerce order fulfillment efficiency. I am pleased with the results we’ve been able to achieve. If I compare March 2016 through December 2016 to the same period in 2015, we’ve had a 17% increase in our conversion rate. Prior to adding ShipperHQ, Bright Agrotech only offered one shipping option called “Standard Shipping.” Now, they are able to offer up to 5 different carriers and 3 shipping speeds. Additionally, they are able to incorporate multi-origin shipping information into their shopping cart and shipping quotes. Not only do they have more options that satisfy their customers, but they are able to meet increasing demand, reduce customer service inquires and internal time spent on shipping arrangements. Before ShipperHQ, we’d actually call customers if they had been massively undercharged for shipping. Customers weren’t happy at the additional charges, we weren’t happy about the high costs, and we were both out a ton of time – the most expensive part of all! Even with a 22% increase in ecommerce customers this year, they have not needed to increase their fulfillment or shipping staff. By utilizing advanced features such as Dimensional Shipping, LTL Freight and Carrier Rules, Bright Agrotech was able to tell effectively handle large items needed to be handled and show shipping options to customers based on zone, product size and more. First, ShipperHQ allows us to assign multiple shipping boxes to a single BigCommerce product. 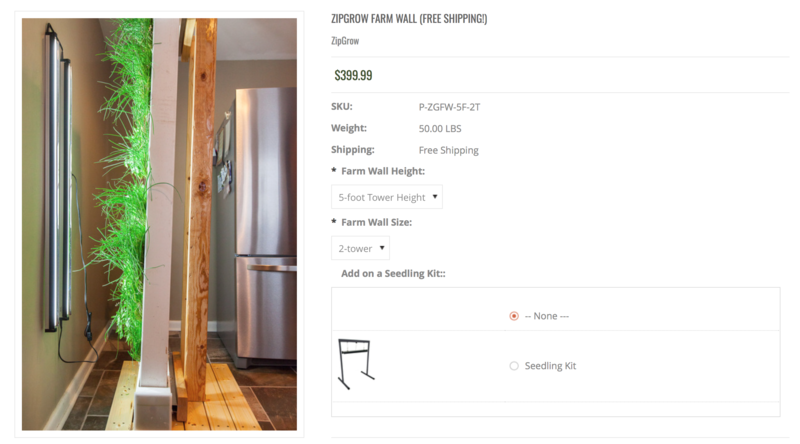 Many of our large items, like the ZipGrow Farm Wall, ship in two or more boxes, and BigCommerce’s basic shipping calculator could only calculate real-time quotes on one box per product. Using ShipperHQ’s dimensional rules feature allows us to accurately quote the correct number and size of packages in real time. 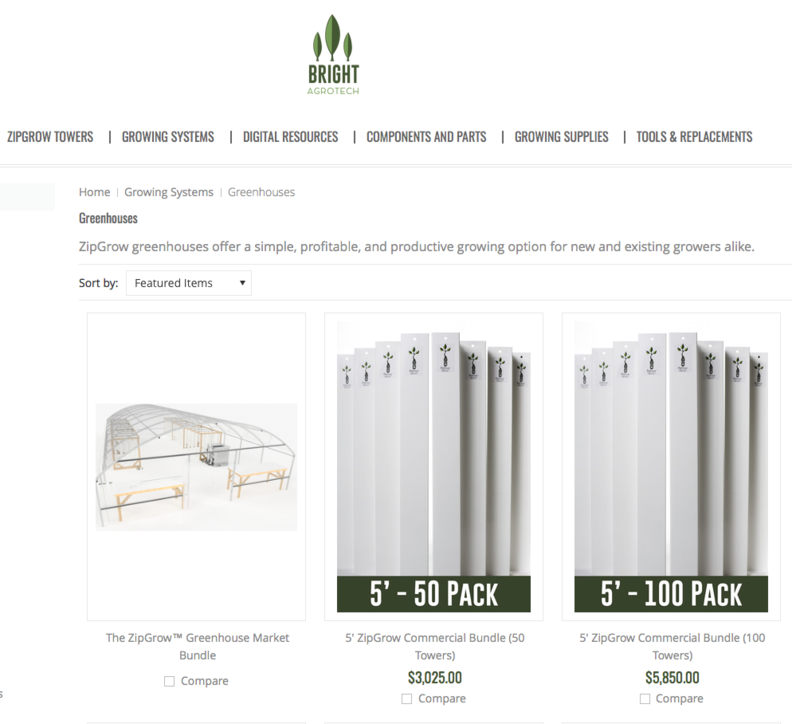 Second, ShipperHQ can quote shipment of an item via freight carriers, which was needed for our large ZipGrow Commercial Bundles. This is one of the only shipping programs on the market I’ve seen with this functionality. Many of our products can only ship cost-effectively via a freight method, so being able to pull real-time freight quotes improves Bright’s bottom line while giving our customers an accurate representation of how their items will arrive. Finally, I love that ShipperHQ can restrict carriers and zones. For international customers, we only use USPS, so it only makes sense to limit an international customer’s options. Within the US, we prefer to ship only UPS on large items from our warehouse. Being able to clearly define via ShipperHQ what a large item is and restrict its shipping methods is amazing. The company has been able to expand their checkout in ways they were unable to imagine before. With additional options and the ability to control what their customers see at checkout they have been able to broaden their reach, opening them up to thousands of potential customers and are able to cover their shipping costs. Now, they rarely have a shipment they can’t send. Even if they are unable to serve a location, a customer will be informed that they can’t automatically ship to them via the website, which has allowed them to save tons of customer service time. As always, we are happy to watch Bright Agrotech grow and expand new horizons. We are excited to see what is in store for the company’s future and what more they will be able to accomplish.